Last week one of my blog advertisers, Frantic Fashion sent me a couple of items from one of the lines they are now carrying for kids called Yogini so that I could review them for you and offer my readers a further discount from what Frantic Fashions offers. Frantic Fashions is a ‘one deal at a time site‘. This means that each steeply discounted item that they offer you is only available for a limited amount of time. Once you’ve purchased your item from them it remains in your shopping bag where you can hold it while you wait for more items you may want to purchase and save on shipping, or you can have each item shipped as you purchase. I’ve seen some really great brands pop up on their site such as William Rast Jeans and Joe’s Jeans. When I received these items for both of my daughters I was immediately in love with the little lulu like Yogini outfits that arrived within two days and was perfectly packaged. I got two jackets and two pants, size 2 and size 4. 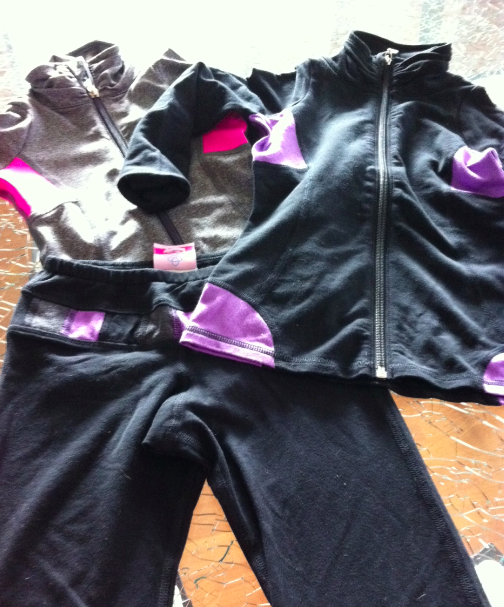 The size 2 outfit is this static charcoal and senorita pink ‘still pants’ and ‘define jacket’ (those aren’t the actual names of the items but they are very much like the Lulu version). 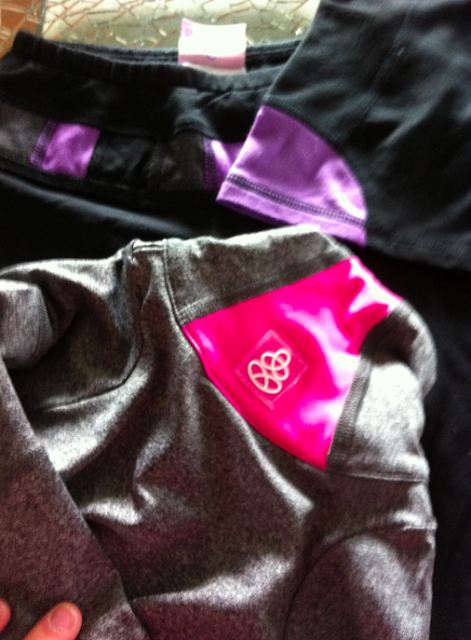 The Static Charcoal outfit is made out of spandex fabric but it’s pretty much static luon (only its resistant to pilling) The Black and Very Violet outfit is made out of a french terry that feels so soft and luxurious, just like the Lulu Lux/Beechlu fabric. The fabrics are treated with Chito Sante which has many benefits such as making the fabrics durable, static free ( = non pilly, non pet hair magnetizing), anti-bacterial and odour resistant. The sizing ran a bit bigger than standard kids sizes which I appreciate because I buy my kids clothes big so that they grow into them. 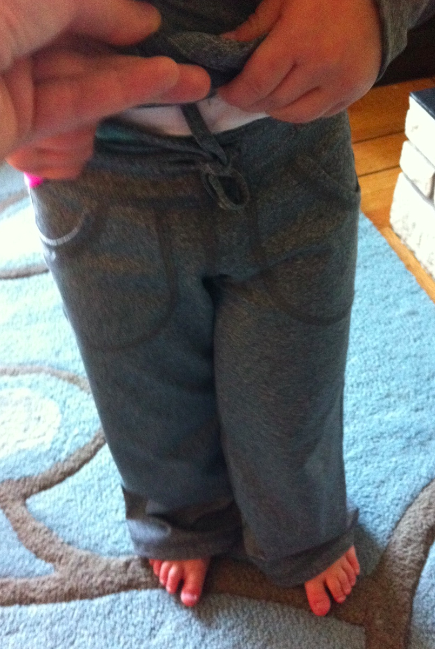 The length for both pants are quite long and I found my 4 year old was able to wear the size 2 or the size 4 with the legs rolled up. Both outfits fit very well on both kids and the added length of the pants as well as the stretchy fabrics will be very appreciated when they hit those inevitable and often growth spurts. I really love the value of these items, the ‘Grooves’ retail for $43 (Frantics price is $25.75) and the Contrast jacket retails for $57 (Frantics price is $32). Basic pocket pant ‘Stills’ retails for $40 (Frantic price is $24). These are great prices for kids clothes and I love that the sizes start at 2 and go to 14 since the Ivivva line is too big for my kids. For my lovely readers, Frantic Fashion is offering you a savings of $5 on the purchase of $5 and over (limit one use per account). Your discount code is ‘Lulumum’. Please let me know what you get with your discount. I’d love to know what deals you scored. 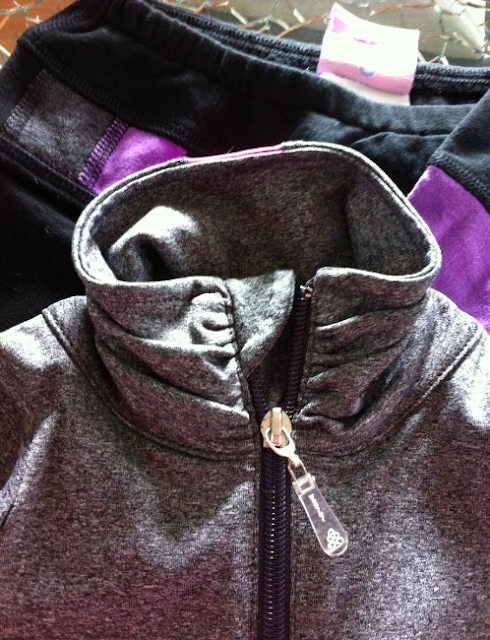 Ruched neck colar with really great, durable zipper and a zipper guard. 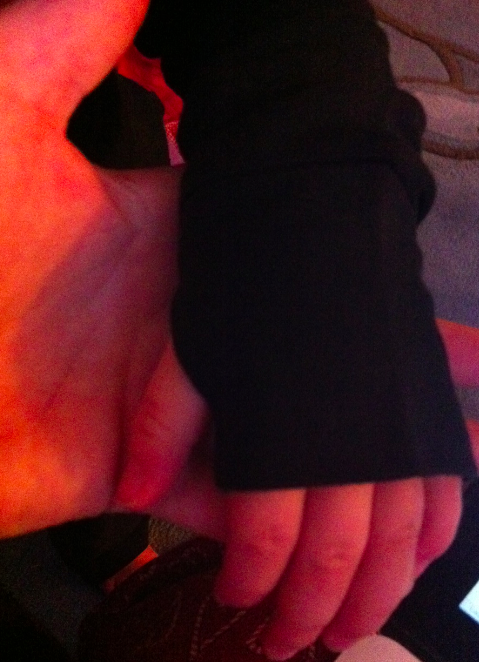 Perfectly sewn cuffins and thumbholes on the jackets. I just squealed like five times while reading that. How freaking cute. Especially the last photo!!! I don't have kids, but if I did… would totally buy some. Email us at [email protected] and we can let you know the time the item is available 🙂 or just keep checking the page throughout the day. We have another order of the "stills" that will be posted for Monday! Thanks! OMG, Those are adorable outfits! I wish my daughter was still wee so I could get her some. She's 12 now and into the Scuba hoodies. 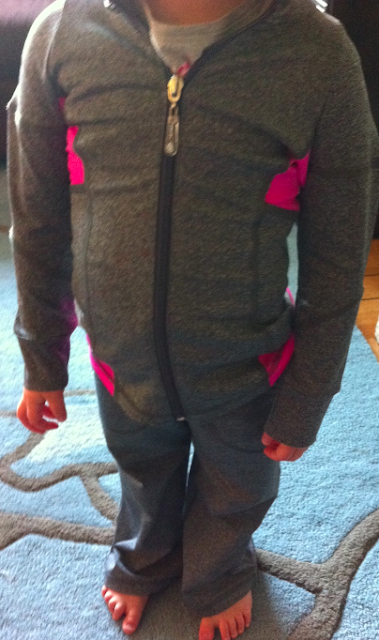 The size 2 fits her. cute i guess but all these lulu copycat companies are getting a bit pathetic. i'll stick to the original cuz at least they make their own designs.